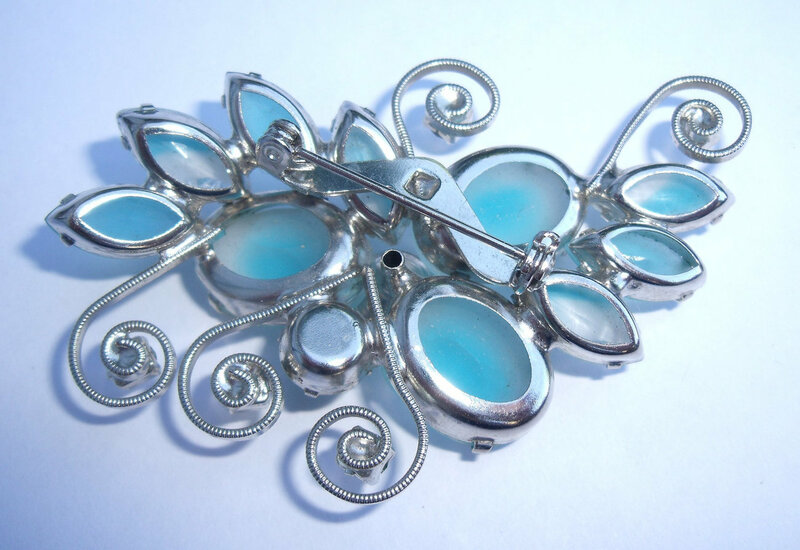 This lovely brooch features large frost blue glass cabs surrounded by sparkling green rhinestones, textured givre glass stones and swirls of silver. 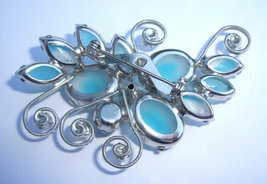 The brooch measures 2.75 inches by 1.75 inches or 7cm. 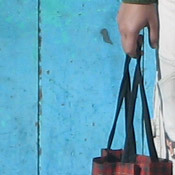 by 4cm. 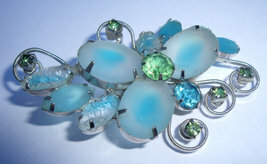 The larger stones in this set all are prong set in an open back setting letting the light in. 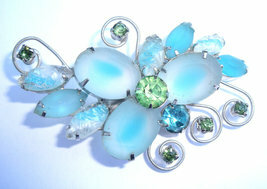 This brooch is in good vintage condition. 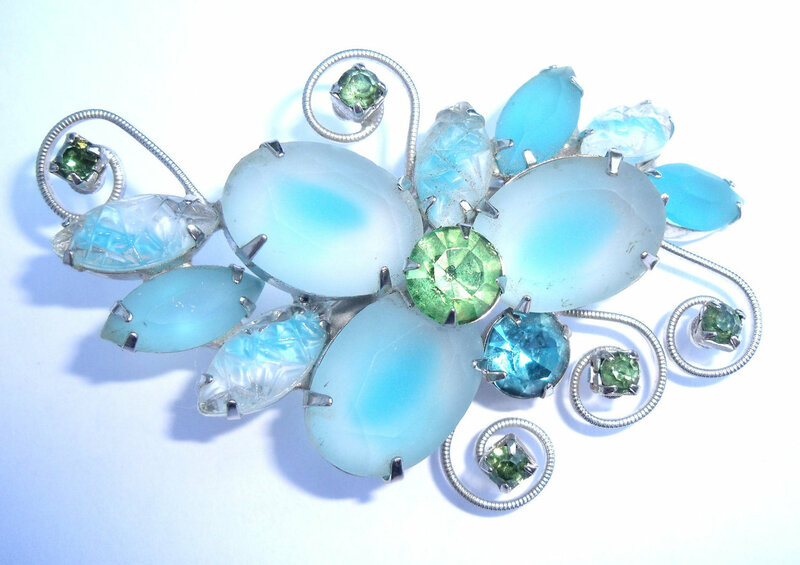 A513 Shipping to Canada and US are included in the purchase price of this brooch, For all other destination please add 4 dollars US.